A Message from the 2nd Vice President – 09-2018 | F.F.A.M. Greetings… Wow where has the year gone, We are already three fourths of the way thru the year, children have returned back to school, before we know it we will be celebrating Halloween, Thanksgiving and even Christmas. The FFAM has been busy as well. The State Fair Committee just finished the fair and the Memorial Committee has been busy talking about the museum. The board of directors are working on the budget for next year and their requests have to be in by the October board meeting to the budget committee. On July 17, I attended a historical event at the Wellington Napoleon Fire Protection District. On this evening Wellington had their promotional ceremony where a brother and sister were both promoted to Lieutenant. 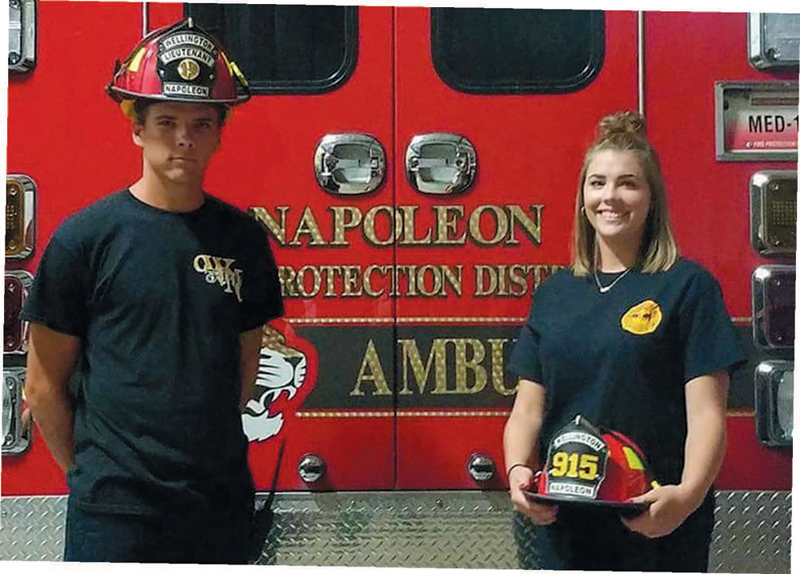 Nathan Jones was promoted over fire suppression and Kaitlyn Jones was promoted over EMS operations. Congratulations to you both and thanks again for the invite. The State Fair Fire Department just finished their 2018 operation. I heard that they ran around 160 incidents in the ten day operation. According to their Facebook page they had mostly EMS calls, but they had some fires and even a HAZMAT call. Thank you to all the personnel that volunteered their time and departments and individuals that donated, the FFAM could not do it without you. August 18, 2018, was a very special day for Lexington Fire and Rescue. On that day Lexington put their new ladder truck in service. The ladder truck was dedicated in Memory of Harold Hollingsworth who was killed in the LODD back in 2013 at Fort Osage Fire Protection District. Harold had served many years at Lexington before joining Fort Osage. Lexington is selling T-shirts at this moment in hopes of building a memorial in memory of Harold. Information can be found on their Facebook page. 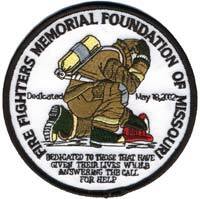 September 8, 2018, will be another special day in Missouri fire history. 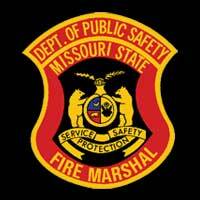 Our fire marshal, Tim Bean is hosting the Missouri State Fire Marshal 9/11 Memorial Stair Climb in Jefferson City. Fire Marshal Bean is asking all firefighters across the state to join him in climbing the 110 floors on that day. The FFAM, the FFAM auxiliary, and the State Fair Fire Department have donated towards the cause. Information on the climb can be found on their Facebook page. I hope to see you there. Tragedy occurred with the Wheatland Fire Department. 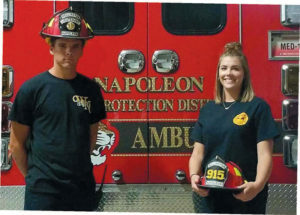 Their fire station was struck by lighting and caused a fire. The department was able to save their trucks, but the station was gutted and they lost their gear and tools. 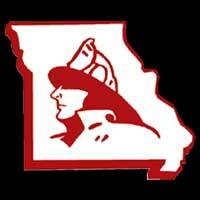 Prayers goes out to Chief Jordan Graham and the department. The FFAM Board of Directors is hosting the next convention in Sedalia at the Missouri State Fair. The date for the convention is April 12-14, 2019. 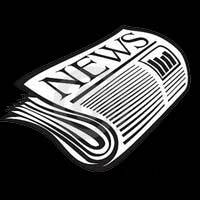 The committee is working with the hotels for the convention and more information will be coming out in the next newsletter. 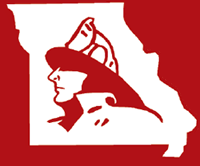 The next board meeting will be October 7, 2018, at 9 a.m., at the State Fair Firehouse. If I can be of any assistance please call or email me at 660-229-4525 or grant_oetting@yahoo.com. Until next time, be safe.